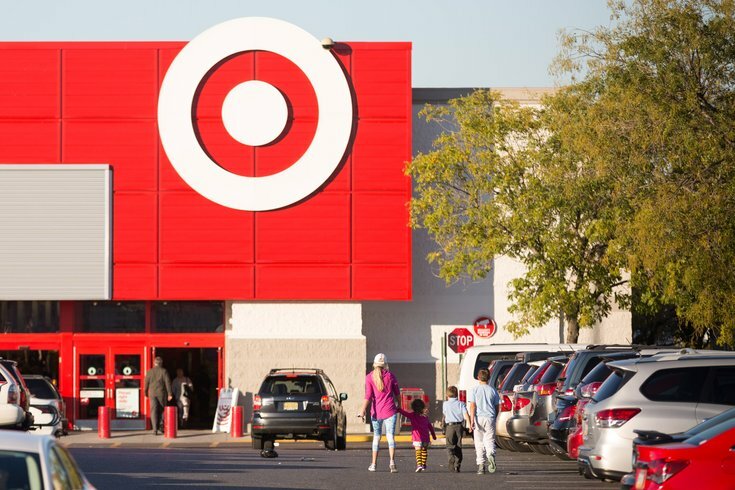 The Target store in South Philadelphia. This holiday season, gift your cat a fancy cardboard box from Target. Mainly because it's incredibly cute, but also because as all cat owners know, our feline friends love 'em. Target's Wondershop has introduced two holiday-themed boxes. One looks like a cozy café, while the other resembles Santa's workshop. The floors for both are made of cardboard scratchers – something else cats love. Here's a photo of "Santa's Cat Scratcher" ($12.99) from Target's website, and below are two photos of the happy owners of a brand-new "Hot Cocoa Double Decker Cat Scratcher" ($16.99). 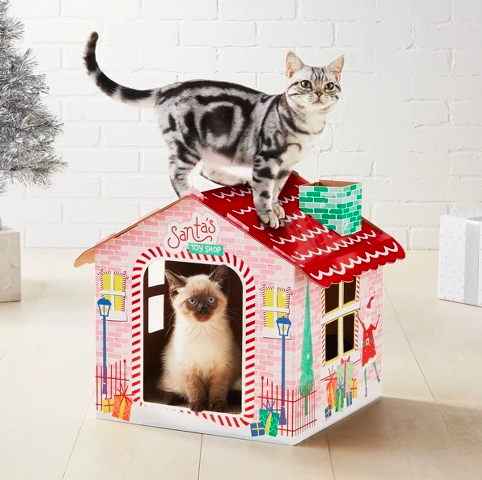 Target's Wondershop has holiday-themed cat scratchers. Your cat probably won't realize if you don't buy them a holiday gift, but what if they do? The next time your cat slowly pushes your coffee mug toward the edge of the counter while making direct eye contact, you'll wonder, "Is this because I forgot your present?" Not worth it. Or give the Wondershop cat scratcher to your friend group's cat lady. They'll think it's sweet you thought of their furry friend.